Karbonn has launched a new phone in the entry level segment. It has came up with the A27+ which seems to be an updated version of the previously launched A27 from Karbonn. The A27+ is launched with the Dual core processor, larger display, dual camera feature and decent hardware specifications. It comes at the price tag of Rs.8,999. There are various other options that are present in this segment from various other vendors, both from the domestic and international manufacturers. We will let you to understand the features and operations of the Karbonn A27+. Let us see the detailed specifications and features provided by the Karbonn A27+ to the users. The Karbonn A27+ features the dual camera options for the users. And is must have feature for any device in this range as many other offers this to the customers in this range. It features a 8.0MP of primary camera with LED flash at the rear. And a digital front camera for the video calling feature. The support of LED flash lets the users to capture clear images even in the low light. So the camera segment of the device is good and is the same as in the most of the cases in this segment. The phone comes with 4GB of on-board internal memory, which is expandable up to 32GB via microSD card. The memory options which is provided with this device seems to be a decent one and will let the users to store the ample data and will not let them to run out of the storage space. And in this segment most of the other devices offers almost same storage capacity for the users. Processor is the most important hardware entity for any device, and Karbonn A27+ is powered by the 1 GHz Dual Core processor and is the same that was present in the A27. Though there have been no word about the manufacturer of the processor. The processor seems to be a decent one and will offer the users a smooth experience. And the processor is supported by the 512MB of RAM, that lets the users to run various applications and perform multiple operations at the same time. Though the RAM was expected on the higher side. But considering the price tag the hardware specs seems to be decent. Karbonn A27+ is packed with the 2,000 mAh of battery. And seems to provide good battery backup to the users. Also considering the size of the screen and other hardware specs it is obvious that the battery will have good support to the phone. And can easily last for a day of more after single charging.This battery will give you up to 7 hrs talk time on 2G and up to 4 hrs on 3G and standby time up to 400 Hours. Karbonn A27+ sports a larger 5.0 inch capacitive touch screen which was expected and is an updation over the Karbonn A27 which contains slightly smaller screen of 4.3 inches. It has the screen resolution of about 540 x 960 pixels, and has the pixel density of about 220 PPI. From the given specifications it is clear that the display of the A27+ will be an average performer and will have a decent clarity. Though other devices in this range also have the somewhat similar display feature. There is no special addition for playing HD games or movies. A27+ has a dimension of 133.6 * 66 * 9.1 mm. When it comes to the features, Karbonn A27+ comes with various connectivity options such as the 3G, Wi-Fi, Bluetooth with A2DP and GPS. It provides the users with the Dual SIM feature with dual active standby, and lets the users to use both the SIM at the same time. A27+ comes with G sensor which sense direction of your phone and auto rotates the screen according to the direction to which you have tilted the phone. It has 3.5 mm jack for the headphones and other audio connectivity. The Karbonn A27+ runs on the Android v4.1 Jelly Bean operating system, that offers various features to the device. As for the comparison, there are various domestic and international devices with which the Karbonn A27+ competes in the entry level segment. It can get good competition with the Micromax A92 Canvas Lite, Nokia Lumia 520 and from various other entry level segment. Though the pricing and the other specs of the A27+ looks very competitive. And can easily compete with the other devices in the entry level segment. After reviewing all the features and specs of the Karbonn A27+ we can state that this device comes with the good hardware specifications. It sports a larger display, dual camera feature, quicker processor and dual SIM support. Considering the price of the A27+ this looks to be an impressive one, and clearly will get good response from the buyers. Karbonn A27+ comes with the price tag of Rs.8,999 which looks good for the device with this specifications. 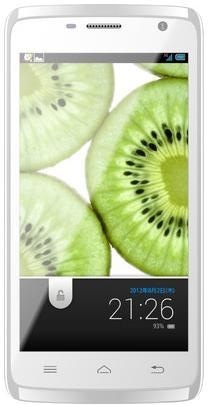 You can buy Karbonn A 27+ from Flipkart.